MUMBAI: NCP chief Sharad Pawar set tongues wagging Monday after he met former Congress leader Narayan Rane amid the speculation of the latter's possible return to the opposition-fold ahead of the 2019 general election. He is currently a Rajya Sabha member backed by the ruling BJP. According to sources in the Nationalist Congress Party (NCP), the option of fielding Rane from the Ratnagiri-Sindhudurg Lok Sabha constituency on a party ticket was currently being explored. 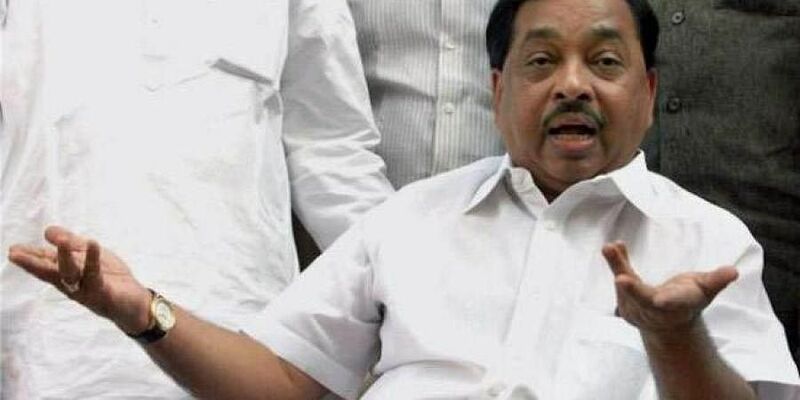 They claimed that Rane was upset with the Bharatiya Janata Party (BJP) extending an olive branch to its alliance partner Shiv Sena ahead of the Lok Sabha polls. Rane had left the Sena on a bitter note in 2005. The Congress, which is in seat-sharing (for the LS polls) talks with other like-minded parties, including the NCP, does not have a strong candidate to field from the Ratnagiri-Sindhudurg seat, currently represented in Parliament by Shiv Sena's Vinayak Raut, he added. "The NCP too does not have a strong candidate there, but fielding Rane is a good option because of his winnability," the source said. Given the practical reality, it was unlikely that Rane would go back to the Shiv Sena or the Congress, but could very well join the NCP, he added.